Houses are built of materials with thermal insulation parameters which are better and better. Investment expenditures for any type of electric heating, including floor heating, are much lower, than those for other systems. Room temperature regulation is very easy and can meet any requirements. Electric power is generally known as ecologically clean as creates no pollution at the operation place and in its surrounding. Power network access is getting wider, and an excess of electric power is foreseen for the years to come. Operation efficiency of any electric heater type is close to 100%. No losses due to fuel burning, heating medium transmission or boiler design. Dirty rooms such as boiler rooms are superfluous. All of the heating installation is invisible. Systems protect pipes, valves, actuators and other elements vulnerable to harmful influence of low temperatures, against the coldest winter conditions. Financial losses incurred due to damaged pipes and valves may even exceed investment costs of entire heating systems. Systems protect against snow and ice on roofs, gutters, conductors, roads, stairs, terraces, viaducts, bridges and much more. The unique design and proficient performance allows the heated surfaces to be free of snow and ice through proper control. 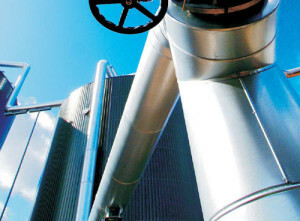 Systems for most demanding industrial applications in hazardous and non-hazardous areas.